This video from Top Gear is a great hook to get students thinking about the effects of radioactivity, half-life and its impact on local areas. Before students watch the video ask them to think about the source of radiation, how it’s measured and how it effects living organisms. Would they eat a strawberry that had been irradiated? Click here for resources on states of matter and particle theory. Modelling radioactive nuclei decay using dice. Students use a dice model to consider the effect of nuclei decay on a large number of nuclei over time. In our model the dice represent individual nuclei that make up a substance called diceium. Students plot a graph to determine the half-life. This resource was adapted from a lesson made by Steven Jones. 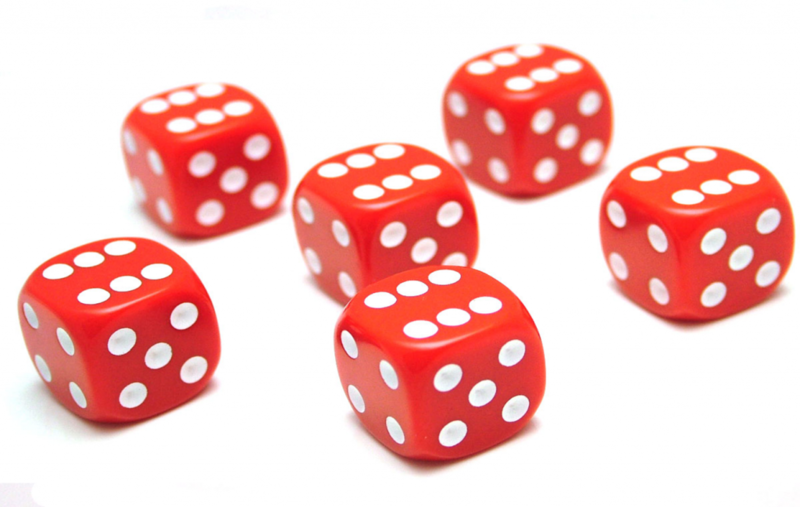 This is a simpler model than using dice. Start with a large bag of M&Ms. Shake the bag and pour into a plastic tray. Remove any M&Ms that are facing up as they are assumed to represent decayed nuclei. Count the remaining M&Ms and record how many there are. Repeat these steps until all M&Ms have ‘decayed’. Now plot a graph of shakes versus number of remaining M&Ms and find different half-lives. Is each half-life the same or different?